If you have found yourself unable to recover from the burden of mounting debt, bankruptcy may be the solution. Your debts can be forgiven. 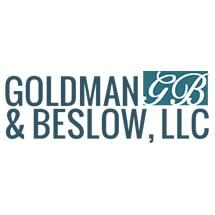 At Goldman & Beslow, LLC, we can help you remove your debt and rebuild a solid financial foundation for you and your family. With over 38 years of experience, we understand bankruptcy law, its changes, and how to help our clients recover from intimidating debt. Filing for bankruptcy is a solution for individuals who feel that there is no way out. The filing of a bankruptcy will eliminate motor vehicle surcharges and restore driving privileges. It will end creditor harassment and garnishments. It will prevent utility shutoffs. It will eliminate medical bills. Under certain circumstances you will be able to eliminate second or third mortgages. Under certain circumstances you may also be able to discharge taxes you owe to the IRS or the State of New Jersey and put together a repayment plan that will prevent the IRS or New Jersey from levying on your wages.